Jack Butala: Welcome to our show today. 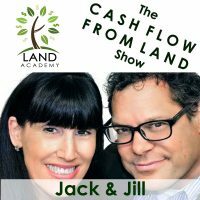 In this episode, Jill and I talk about the velocity of money. Jill DeWitt: Okay. You are in big trouble now, mister. Jack Butala: I can’t even get through the title. Jill DeWitt: Sorry. Go ahead. Jack Butala: The velocity of money and cash in term sales. Jack Butala: I was avoiding my … I was avoiding being scolded. Jill DeWitt: I just caught on from yesterday. You said yesterday the next show would not involve math. This is sounding like math. Jill DeWitt: Could you imagine? Jack Butala: It’s going to be like Ferris Bueller. Jill DeWitt: Wha, wha, wha, wha. What would the show be like all by yourself? Jill DeWitt: All right. We’ll make it good. Jack Butala: Right. Before we get into this, let’s take a question posted by one of our members on the landinvestors.com online community. It’s free. Jill DeWitt: All right. Jim asked, “I purchased a property in Archuleta County, Colorado, from a gentleman who acquired it through a tax lien situation. He provided me a warranty deed to convey the property to me, and a copy of the treasurer’s deed he received when he acquired the property.” This is sounding perfect right here. Jack Butala: This is a beautiful story so far. Jill DeWitt: You are correct, Jim, because the treasurer would have already recorded the deed. If you’re not sure, look at it. Make sure there’s a date, a page, and a stamp from the recorder on the treasurer’s deed. It would be a fluke, freak, weird thing if there wasn’t, but I’m sure there was. The treasurer would have recorded the deed themselves when they conveyed it to this gentleman. Now, your deed is the only one that needs to go in, so it’s perfect. Jack Butala: Here’s how a treasurer’s deed gets generated. Somebody stops paying their taxes, and in this case, after a while time goes on. The taxing authority issues a lien on the property that says, “Hey, we’re going to take your property if you don’t pay these taxes. Now, you have a couple choices. You can pay the taxes or you can continue to blow us off. If you continue to blow us off, we’re going to open this lien to be purchased by somebody, and they can foreclose on your property, and then they can own it. You can choose to pay, or you’re going to lose your property.” Every state’s different. Every county’s different, but those are the two things that happen. In this case, the guy is probably dead. Most tax liens are because people died, and their estate just doesn’t care. Somebody purchased a tax lien and they went through the foreclosure process. A long time ago, a treasurer would do the deed for you. They would literally go through the whole process and the foreclosure. It’s called an administrative foreclosure. They would issue you the deed when they were done. They would put notices in the newspaper and the whole thing. At the end of that, they issue a deed from the treasurer. That’s why it’s called a treasurer’s deed. Really, in effect, what they did was quiet title the property for you for very little money. They don’t do that much anymore because it’s too expensive. The lawyers caught on and found out that it exposes them, and that there’s all kinds of issues. Now, you have to do it yourself. The end result is the same. You own a piece of property for a fraction that’s worth it, a ton more than what you paid. Jill’s right. There’s only ever one vesting deed. If you have multiple vesting deeds that are on a property, run away. Jack Butala: There’s what’s called a chain of title, and it’s exactly what the name implies. One link per owner. Picture a bike chain. Every link is an owner. At the end, you’re the last guy who owns the property. Eventually, you sell it, and then there’s another link in the chain. Jill DeWitt: That’s very deep, Jack. Jack Butala: You like that? Jill DeWitt: I do like that. Jack Butala: I should write a book. Jill DeWitt: There you go. Maybe. 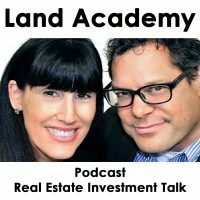 Jack Butala: You have a question, or you’d like to harass me like Jill does, reach out to me on landinvestors.com. Today’s topic, the velocity of money and cash and term sales. This is the meat of the show. Jill DeWitt: Are you just picking things that I can just kind of not be a part of this week? Which is okay, I’m just going to … Just kidding. Jack Butala: I don’t know why these are all so serious. Jill DeWitt: Yeah. I can tell when I sit down. It’s true. When I sit down and come up with the topics and you sit down and come up with the topics, or together we come up with the topics. Jack Butala: Here’s an example of a topic that Jill would come up with. 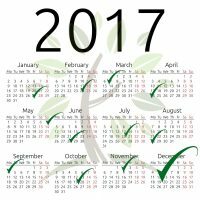 Jack Butala: Let’s stay motivated together! Jill DeWitt: I would not! You’re such a stinker. Jack Butala: What would you like to talk about today? Jack Butala: Oh yeah, you were giving somebody the business. Jill DeWitt: No, I was telling them … I was turning it around, so I was getting what I wanted in the end, but it looked like their idea. Jill DeWitt: No I don’t. Jack Butala: Just enough rope to hang themselves. Jill DeWitt: No. Jack. I don’t need to give you much rope. Jack Butala: It’s already around my neck. Jill DeWitt: Stop! All right. What are we talking about? Jack Butala: The velocity of money and cash and terms sales. We talked about the velocity of money yesterday. You have 1,000 bucks or 100,000 dollars, and you keep turning it really fast. The faster you turn it, the more money you’re going to make. The constant is time. If you start with 100,000 dollars and you have a 12-month period, if you turn it once a month and make 20 percent, I’m not going to do the math on that, you’re going to end up with a bunch more money at the end than you started. 100,000 bucks. 12 months. You turn it one time a month. You make 20 percent. What if you turned it the same percentage, but you turned it once a week? It’s way more money. That’s the velocity of money. What I just described was a cash sale. You buy it for 100, you sell it for 120 as fast as you can, over and over again. With terms, they’re way more profitable, but they’re harder to manage. It takes a tremendous amount of money to make a terms sale operation work. In the same example, you take 100,000 dollars and you buy a piece of property. You sell it for 50,000 dollars down and 1,000 dollars a month for 25 years. Sounds like a mortgage, right? This is what mortgage actuaries and mortgage math people sit around and do this stuff all day. While you make a percentage, our Y percentage like we talked about yesterday, is way higher, the velocity of using that money is much lower. That’s my whole point. The results of this is … Let’s just talk reality now. At some point, everybody in our group and everybody who’s an investor of any kind, you decide if you’re cash or terms people. Jill and I never even had this discussion. We’re cash people. Jill DeWitt: I’m just building up that big account. Jack Butala: My little sister buys a ton of rental properties. She’s the kind of person where there’s a lot of crap in her garage. She doesn’t throw stuff away. If you saw our garage, there’s nothing in it at all. Jack Butala: She likes to collect rental properties. She puts the money in, she buys cash, and she enjoys the checks coming in forever. Jack Butala: In a fantastic ROI, I might add. That’s just not how we … It’s just a personal preference. Jill DeWitt: Right. She’s building a legacy and not a liability, too, by the way. Jack Butala: That’s right. That’s probably where that came from. Jack Butala: It all ties in. Jill DeWitt: It does. Three shows later. Jack Butala: I have to tell you this. Right now, Jill’s planning to have a very large party at her house. She’s not thinking about these shows at all. Jill DeWitt: No. That’s not what I’m thinking about. Jack Butala: Are you excited? Jill DeWitt: I am excited. I’m very excited. I’m ready to go and play and have fun. Jill DeWitt: People are rolling into town. It’s going to be fun. Jack Butala: Yeah, if you want to go and play, let’s end the show. Jack Butala: Join us on another episode. Shortest episode ever. Where Jack and Jill discuss how to use information. That’s me. Jill DeWitt: And inspiration. That’s me. Jack Butala: Do just about anything you want. Jill DeWitt: We use it every day to buy property for half of what it is worth, and sell it immediately. Jill DeWitt: I was going to try to say something funny in there, and then I spaced. I was going to talk about trying to make the math conversations not so painful and shorten them, but they’re important. I know math is important, Jack. Jack Butala: I know I have to eat my vegetables, mom. Jill DeWitt: I know that. I promise, I will be there.